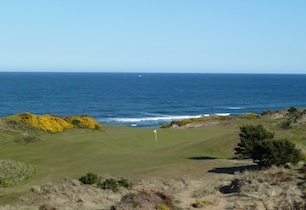 This week I’ll be on the west coast paying a visit to Bandon Dunes Golf Resort and will not be posting my regular posts. I am going to try my hand at tweeting the whole Bandon Dunes experience, so check in with my Twitter feed to see the updates. If you are not already following me you can click HERE to do so. Back to regularly scheduled programming next week with my first Top 100 course profile of 2013!!! !